The inaugural North v South Origin Challenge was played Sunday 7th at Pukekura Park, this was formally known as the Graham Cup but has not been played for about 15 years. 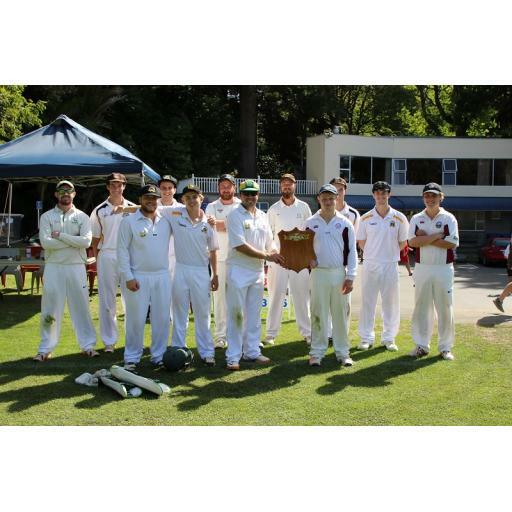 North won the toss and elected to bat in the 60 over one day game and it wasn’t long before they ascerted their dominance with a fantastic opening stand of 135 between Inglewoods Bailey Wisnewski (77) and NPOB’s Jackson Braddock Pajo (71). The opening stand along with Woodleigh’s Shaun Sullivan (45) helped the North side post 305 all out in the final over. Pick of the South bowlers was Hawera’s Ethan Keller with 6 wickets. In reply the South side lost an early wicket and cosistently lost wickets to be all out for 111, the Frewin bothers from NPBHS did the damage with Caleb picking up four wickets and Ben three.